Why are we starting the project? What are the costs (Development, Operational and Maintenance)? What are the business options apart from doing nothing? What are the risks to the viability of the project? What known dis-advantages will the project deliver to stakeholders? What outcomes and benefits should the projects outputs enable? The answers to these questions provide an indication of the weight of the Business Case. On the basis of the Business Case, the contribution of the project to the objectives of the organization must become clear. Try to make it SMART: (Specific, Measurable, Acceptable, Realistic and Timely). The Business Case consists of five building blocks. An external product generated by the authority commissioning the project that forms the trigger for Starting up a Project. The Mandate document initiates the process ‘Starting up a project’. The document consists of one building block: Mandate. The responsibility for the mandate lies with the executive. The process ‘Starting up a project’ forms the foundation of the project. It precedes the actual project. The Mandate describes the essence of the project. It is the first building block of several documents. The Mandate describes the scope, the most important preconditions for the project and the relationship with other projects. Each follow-on document begins with this building block. For the reader it is immediately clear to which project the document refers. It is a useful tool for Project Board members in particular. They are often involved in several projects. The Project Background describes – as the name indicates – the background to the project. Think, for example, of something such as a product that the market demands, an amendment to the law that requires an adaptation of systems, or a process in which disruptions or faults occur. The Scope defines the delineation of the project. It is essential to review changes during the project. If the Scope is clear at the beginning of the project, all parties know what is and is not a part of the project. A clear Scope definition is useful to prevent improper changes (‘scope creep’). The Scope describes the breadth of the project (for example the geographic areas of countries, the customer groups or products). The depth of the project is also important. Does the project only undertake an analysis of alternatives or are these options being developed and implemented? This building block states the risk areas. Think about the business risk if delivery of the product is too late, the operational risk that the organization runs when introducing a product, or the supplier’s risk if external parties are necessary for the realization of the project. The scenario analysis determines the impact on the Business Case in terms of recovery time, costs and time to completion. To this end you can build scenarios for various risks, such as the extension of one month, six months or one year. Or you might consider the bankruptcy of a supplier. In addition the risk analysis mentions measures to minimize or limit risks. This building block describes the cash flow of the project, the Net Present Value (NPV), the Internal Rate of Return (IRR), the payback period and the foundation of the costs and benefits. Only the outcomes of the analyses are recorded in this building block. Underlying detailed calculations are present, but are not a part of the Business Case. 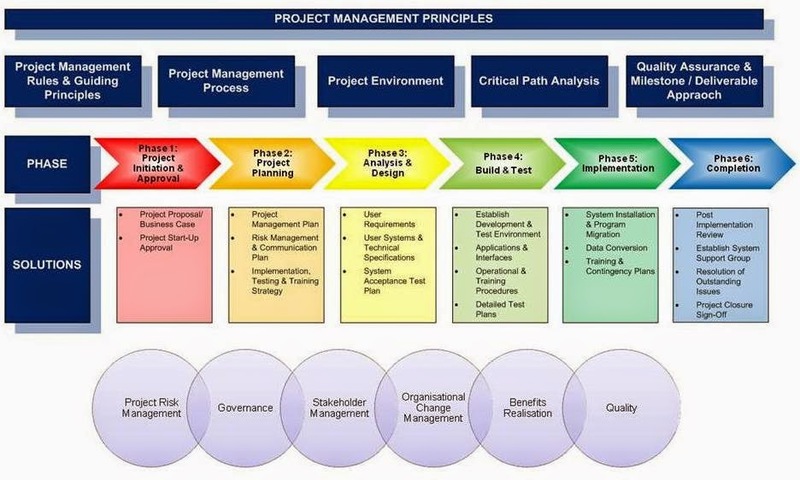 A practical Prince2 Business case document will have the following sections that a Project Manager is expected to complete and maintain as part of the Project Initiation Documentation (PID). Reasons - Defines the reasons for undertaking the project and explains how the project will enable the achievement of corporate strategies and objectives. Expected Benefits - The benefits that the project will deliver expressed in measurable terms against the situation as it exists prior to the project. Benefits should be both qualitative and quantitative. They should be aligned to corporate or programme benefits. Tolerances should be set for each benefit and for the aggregated benefit. Any benefits realization requirements should be stated. Expected Dis-benefits - Outcomes perceived as negative by one or more stakeholders. Dis-benefits are actual consequences of an activity whereas, by definition, a risk has some uncertainty about whether it will materialize. For example, a decision to merge two elements of an organization onto a new site may have benefits (e.g. better joint working), costs (e.g. expanding one of the two sites) and dis-benefits (e.g. drop in productivity during the merger). Dis-benefits need to be valued and incorporated into the investment appraisal. Investment Appraisal - Compares the aggregated benefits and dis-benefits to the project costs (extracted from the Project Plan) and ongoing incremental operations and maintenance costs. The analysis may use techniques such as cash flow statement, ROI, net present value, internal rate of return and payback period. The objective is to be able to define the value of a project as an investment. The investment appraisal should address how the project will be funded. Major Risks - Gives a summary of the key risks associated with the project together with the likely impact and plans should they occur.